We also looked into the Lovedale Brewery which is part of the Crown resort, country club/golf club set up. I got the impression the brewery was there because it is trendy to have a brewery. 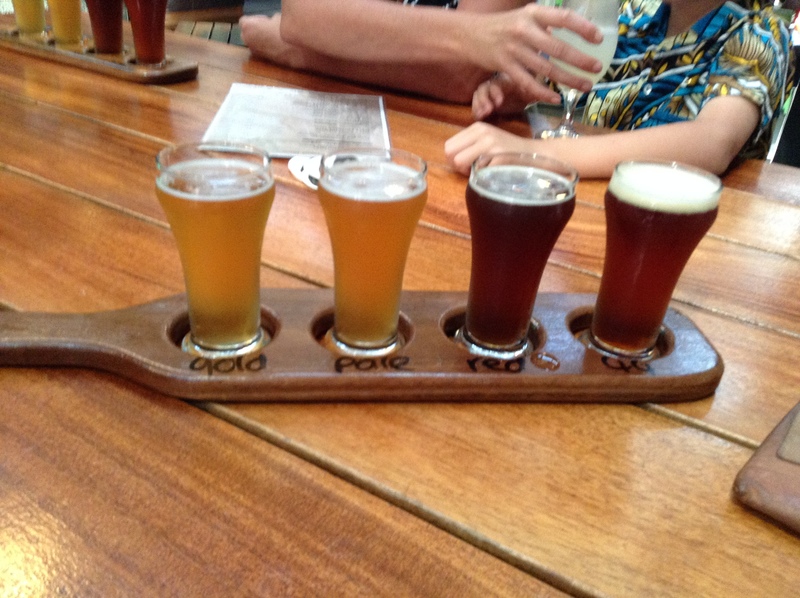 I had a four beer tasting paddle as I was driving:- Lovedale Lager; a Pyrmont Rye IPA; a Surry Hills Pills and a Potts Point Porter, there was also a Paddo’ Pale Ale but as that was on tap in pubs around town I didn’t have that here. The Rye was the pick as for me followed by the porter. The prices for the beer was not to bad comparable to the pubs and as the bar was “poolside” it was a nice place to sit on a sunny afternoon. 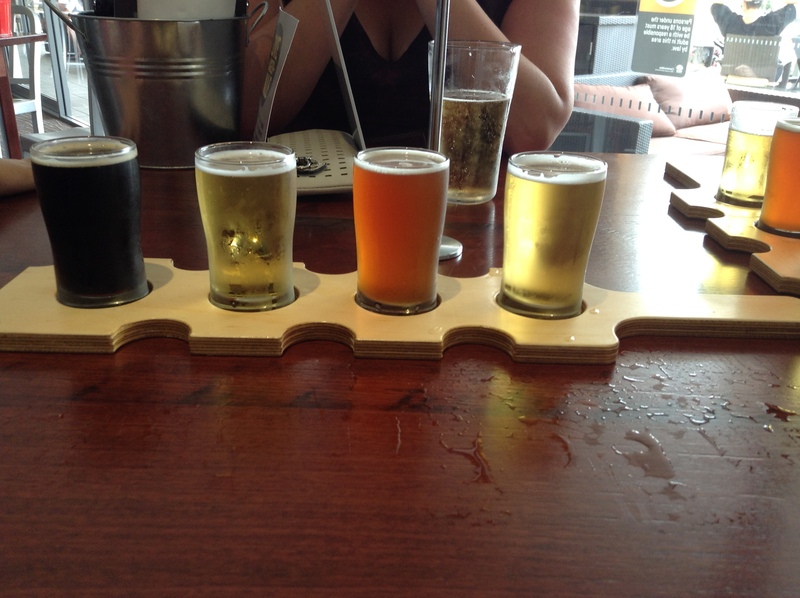 On the return trip we called in to the Six strings Brewery in Erina for lunch a few beers and a growler top up. There was only three of the Six Strings on tap, just the standards which was a bit disappointing. To make up the four in the tasting paddle I added a Riverside 44 and bought a six pack of Hefeweizen tins to take home as it was not available on tap. Still a very nice place to go for a lunch and a beer but this time was a bit flat. It must be said that the owner did make calls and help us find a place to stay, and we where lucky that there was a cancellation at the Australia hotel so while it cost considerably more we had accommodation for the weekend. This however does not change my opinion that the problem should not have arisen in the first place. We also went to the Sandy Hollow pub for a lemon squash on the way there and as well as the Australian and the Bellbird we had a beer in the Royal Oak. This entry was posted in Uncategorized and tagged AUSTRAALIA HOTEL, BELLBIRD HOTEL, LOVEDALE BREWERY SIX STRINGS BREWERY, ROYAL OAK HOTEL, SANDY HOLLOW HOTEL. Bookmark the permalink.